Wild and passionate by nature, Lyra Black is not just any werewolf. She's the future leader of the powerful pack of the Thorn - if she can stay alive long enough to inherit the title. Lisarenee: First, let me start by saying I LOVED Dark Awakening and am excited to read the sequel. (If you hear a squeeing noise don't worry that's just me. LOL) My first question deals with one of the characters in your book--Lilith. Is she by chance related to the Lilith in Hebrew lore of the same name. She is at times referred to as the Queen of the Demons in lore. I'm crossing my fingers that there is a connection because I love it when authors combine a little lore into their stories. I always find it more interesting. Kendra: Hi Lisa! I’m incredibly flattered by the squeeing. I love squeeing. By all means, continueJ I’m so glad you enjoyed Dark Awakening! And yes, I did base my Lilith on the original woman of Hebrew lore. I think the idea of Lilith is fascinating…she’s sometimes reviled, sometimes celebrated. So I thought a version of that character might make an interesting foundation for an entire dynasty of vampires! I love drawing from bits and pieces of mythology to create something new. And I’m with you, I love when I’m reading and I notice an author’s done that in a story! Lisarenee: My second question is--What inspired the Dark Dynasties series, and more specifically, 'Midnight Reckoning'? Kendra: The Dark Dynasties happened because I had a few ideas that happened to fit together at just the right time. I’d been toying with the idea of writing a story about the Cait Sith for a while, but I hadn’t come up with the right story. Then I happened to see a documentary about Cleopatra’s doomed younger sister, Arsinöe, and the two things just clicked. Throw in some medieval politics, cool tattoos, and vampirism, and voila! Okay, maybe it wasn’t quite that fast, but everything gelled really quickly once I had all the ingredients. I never know what’s going to inspire me. As for Midnight Reckoning specifically, I really loved Jaden’s character in Dark Awakening, and I thought it would be great to do a sort of “different worlds” star-crossed romance. Lyra captured my imagination from the moment she showed up in Dark Awakening…I love werewolves…so who better to match him with? I also really wanted to show readers a different aspect of the Dark Dynasties world. My vampires are werewolves live very different lives. Lisarenee: My third question is--Do you have anything in the works, and if so, when can we expect to see it in bookstores? Any way we can get a teaser of what is to come? Kendra: Oh, there’s always something in the works! 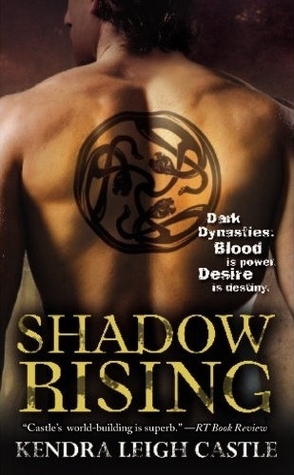 Shadow Rising, the third book in the Dark Dynasties series, comes out this August. 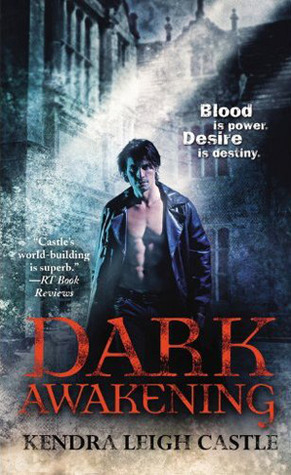 This will be Damien’s story…you might remember him trying to hunt down Ty and Lily in Dark Awakening, and he shows up in Midnight Reckoning too. I do love an assassin. Damien’s lucky he’s so skilled, because his mouth tends to get him into trouble. He was so much fun to write! And as for his heroine…let’s just say you’re about to learn a lot more about the mysterious Grigori dynasty. As for teasers, I’m busy writing the fourth book in the series, which will come out early next spring…and I’m happy to tell you that Lily’s best friend Bay Harper is the heroine. The hero is someone new, and his name is Tasmin. For the rest, you’ll have to wait and seeJ I have a few novellas coming out this year through Harlequin, and if that interests you, Reflected Desire will be available through the digital Cravings line in March. The hero is the slave in the magic mirror. In July, I’ll have a story in the Vacation with a Vampire anthology. It’s set in the same world as my book Renegade Angel, and is about Justin, the vampire king of Terra Noctem. That will be available in both print and digital. Kristen Callihan is a child of the 80’s, which means she's worn neon skirts, black-lace gloves, and combat boots (although never all at once) and can quote John Hughes movies with the best of them. A life long daydreamer, she finally realized that the characters in her head needed a proper home and thus hit the keyboard. She believes that falling in love is one of the headiest experiences a person can have, so naturally she writes romance. Her love of superheroes, action movies, and history led her to write historical paranormals. She lives in the Washington D.C. area and, when not writing, looks after two children, one husband, and a dog — the fish can fend for themselves. Lisarenee: First, I'd like to say congratulations. This appears to be your first book and it looks really good. Kristen: Thank you so much! 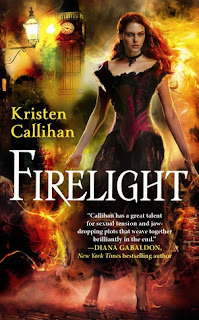 FIRELIGHT is indeed my debut novel. I hope you enjoy it. Lisarenee: What inspired 'Firelight' and can you tell us a little about it? Will it be a standalone book or part of a series? Kristen: FIRELIGHT is a dark, Victorian gothic paranormal romance, (because that isn’t a mouthful! Lol) loosely based on the Beauty and the Beast fairytale, in which a cursed lord must surrender his humanity to save the love of his life. As for inspiration, to be honest, my kids were watching Disney’s Beauty and the Beast while I was staring at the computer screen, trying come up with a new story. Having no luck on the writing front, I stared to watch the movie, but then began to wonder… what if the “beast” wasn’t a man cursed to become a beast but suffering from a curse that was slowly stealing his soul? And what if a crooked merchant had the inadvertently lost the cure to this curse, and now the man would claim his daughter as revenge? Hmm, but what if the daughter wasn’t as helpless as she appeared? I had the first five scenes written in about an hour and it snowballed from there. 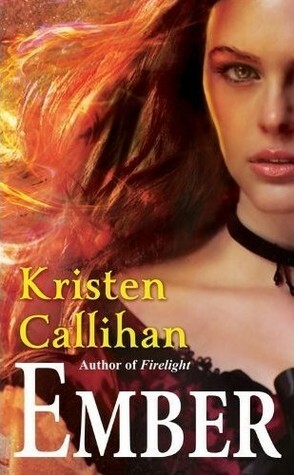 FIRELIGHT is the first in the Darkest London series. As of now, there are four books planed, the first three featuring Miranda’s sisters as they fall deeper into discovering a hidden London in which things really do go bump in the night. Lisarenee: The synopsis says that Miranda is the main character. Can you tell us a little about her? It says she possesses some magical abilities. Does she come from a magical family or is this something unique to her? I'm guessing that since the book title is 'Firelight' and the cover appears to be covered in flames her magical ability must have something to do with fire? Kristen: Initially, when I wrote Miranda, I was operating under the construct of Beauty from the fairytale. So I made her beautiful yet sensible because she had to see in Archer (my beast) what others could not. But I didn’t like the idea of her being helpless, nor did I find the notion of beauty for beauty’s sake appealing. She had to have her own power. In FIRELIGHT, Archer is growing colder, less human, so the opposite of that would be heat, warm, fire. It made sense to me then that Miranda’s power would be fire. Of course what is a gift can also be a curse. Miranda fears her power and her inner beast every bit as much as Archer fears his curse. As to the beauty aspect, what good does it do you if your life is falling apart around you? Miranda is a smart woman. She uses what weapons she has to survive. Beauty being one of them. But Miranda’s beauty masks her true self just as much as Archer’s physical mask does. Lisarenee: Do you have anything else in the works and, if so, what will it be and when can we expect to read it? Kristen: Currently, I’m working on MOONGLOW, book 2 of the Darkest London series. MOONGLOW features Miranda’s sister Daisy, who has the misfortune to attract the attentions of a mad werewolf that is terrorizing London. Her savior comes from the most unlikely of sources, a dissolute and disenchanted rake who also happens to be a werewolf. 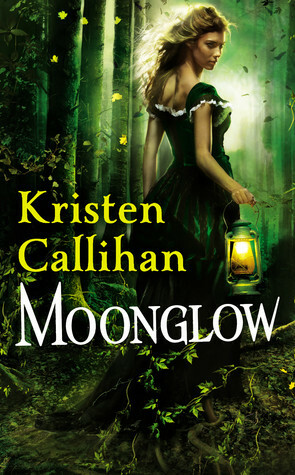 MOONGLOW is coming out August 2012. After that, it’s on to book 3, WINTERBLAZE, featuring a Scotland Yard detective who has had the wool pulled from his eyes in the most violent of fashion and must now deal with this dark and dangerous world of supernatural London. WINTERBLAZE comes out March 2013, and book 4 (as yet untitled) comes out October 2013. I am giving away THREE sets of books. Each set containing ONE copy of 'Firelight' and ONE copy of 'Midnight Reckoning'. 4) Leave a comment with a way for me to contact you to get your address (Please no P.O. Boxes) which I can forward to the publisher who will send you your books. It can be via email or Goodreads message or, if you feel uncomfortable with those two options, email me the information at seducedbyabook@gmail.com. Contest ends February 6th. Winners will be notified by email or Goodreads message and have 48 hours to respond from when the email/message was sent before another winner is chosen. These books sound great. I love the covers. What hooks me on a series is great characters, good world building and sizzling romance. I love series! 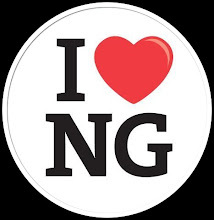 When the characters are well developed and the storyline is good, I am a devoted fan. These books sound like they meet my requirements! I love a good paranormal series. I love to be drawn into the world and get to learn more about it. A well written/developed world and characters with great stories, dialogue, and some humor will keep me hooked! And it must have great romance too. The covers of all six books have me panting. They are great. The excerpts have really grabbed my attention. Paranormal is one of my fave genres. It lets me escape to a world of make believe that feels real. I get hooked on a series when the characters are well written and have depth and believeabilty. Also a unique storyline with some intrigue and a touch of humor and problems the hero and heroine over come to be with each other. I love reading series as well, what gets me hooked on a series is the cast of characters,great world building, and interesting story line. Thanks for the giveaway! Both books sound great and Im glad to see the series already has more in the works. The characters get me hooked on a series. And many times, it's the smarty-pants secondary characters to makes me return for me.